Back in late 2017, Google launched a free resource for small businesses called Small Thanks – a customizable and downloadable package of complimentary marketing materials to help promote business. Included now is a collection of posters, social media posts, table tents, and even a short video. 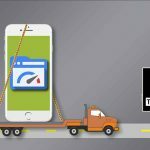 It’s no secret that customers are relying more and more on positive towing reviews when choosing a local towing company. Small Thanks allows you to use those reviews to generate even more positive reviews and strengthen your overall towing brand. We give it our endorsement and encourage you to take advantage of this free tool. How Does “Small Thanks” Work? 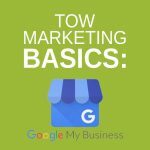 NOTE: In order to use this free resource, you must first claim your Google My Business listing—something we think is key to online marketing for towers. If you haven’t done that, click here to get started. Creating a custom Small Thanks marketing kit only takes a few easy steps. Some of the features are tricky to spot at first, so below is a step-by-step guide to creating a kit of your own. 2. Google will create a quick social media post, print-ready poster, and table tent. We recommend clicking “Choose other styles and reviews” to create a more custom set of materials. 3. On the next screen, you are presented with several existing reviews to choose from when customizing your poster. At the top, you can choose between a one-review and three-review layout. 4. Depending on which layout you choose, select either one or three reviews to be included on the poster. In a three-review layout, the chosen reviews will be highlighted in blue, green and orange, respective to their position on the poster, as indicated on the icon at the top of the page. 5. Next, you will see a preview of your poster and social media post. At the bottom of the screen, you can choose the color that is most appropriate to your business or liking. 6. The default design is “Sign Script,” but below is a snapshot of each design option. Choose the one most suited to your towing company and click “Finish”. 7. If you’re satisfied with the overall look, click the “Download” button for instant access to your new marketing materials. If you scroll down, you will also find instantly shareable social media images and a business highlights video. NOTE: For a limited time, Google was mailing these to companies, one per business, with limited quantities available. If this is an option, you will see a “Mail it to me” button on the final screen. We have seen this option come and go, so we cannot guarantee that free shipping will be an option for your company. 8. You now have printable files that you can print in your office or take to a print shop. 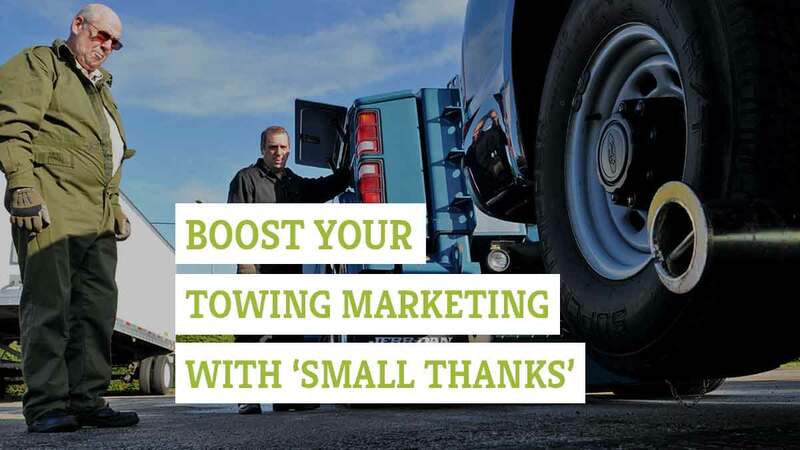 How Can I Use “Small Thanks” For My Towing Company? There is no list of approved/unapproved ways to use these free resources, so, most importantly, be creative! Think of what will be most effective to your towing company’s situation to drive more positive reviews and build your online brand. Print and laminate the poster on 8.5” x 11” paper and keep one in each of your trucks. There is a good chance passengers will see it and read the reviews. This is a quick trust-building step and can be a conversation starter to the importance of reviews. Print the square social media posts and tape 2 or 3 of them to the passenger dashboard. This is beneficial for the same reasons listed above. Hang the poster in a high-visible area in the shop. While this might not quickly convert into an online review, it will still help create a trusted and reputable company image and it will remind your team the importance of customer service. You might even start a little friendly competition by hanging a poster featuring an employee who gets recognized by name in a review to see if the dedication to service with a smile spreads. Print a square social media post onto a large magnet to be placed on the outside of the truck during service calls. The temporary nature of a magnet can allow you to change out the magnet if desired. More importantly, it’s another easy way to put a high-quality review in the line-of-sight of a waiting customer. Do you have another way to creatively use the “Small Thanks” materials to drive online reviews and build your company brand? Let us know! We’d love to hear what you’re doing.